Thank you for visiting our site.Our history is an unusual story.Jim grew up on a farm in South Texas.As you know, you can take the boy out of the country, but you can’t take the country out of the boy. Although he left the farm and pursued other fields, he always has had a love for being in the country and working in some way with land. When he retired, looking for something to occupy his time, he bought a Ranch in the Hill country. After a time, we began looking for something closer to our home in Montgomery. 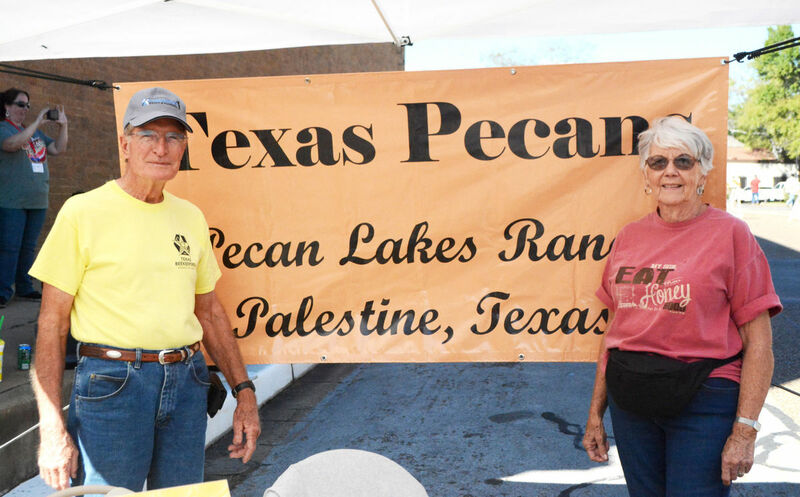 We found Pecan Lakes Ranch in Palestine, Texas. We immediately fell in love with the beauty of East Texas and the Ranch was a perfect place for our family to enjoy. The pecan trees had not been cultivated for 10 years. However, the equipment to harvest pecans was all there. So, Jim started repairing it and we harvested our first crop. Needless to say, it was not a large crop.But we decided that with irrigation, and proper fertilization it could be better. So, Jim repaired the irrigation system. Sure enough it was. The next year, the trees flourished. Now, we are hooked on growing pecans. With the guidance of the Agriculture Department of Texas A & M, we have learned a lot about cultivating pecans and are very proud of our orchards. Jim is happy being on his tractor, spraying and fertilizing the trees, and harvesting the pecans. In 2016, we purchased a cracking and shelling plant from Savage Equipment and are now processing and packaging our pecans. We also crack and shell pecans for people who have their own trees. Try some of our pecans; we know you will love them. As we grow we will be adding more products to our web site so please check back often!